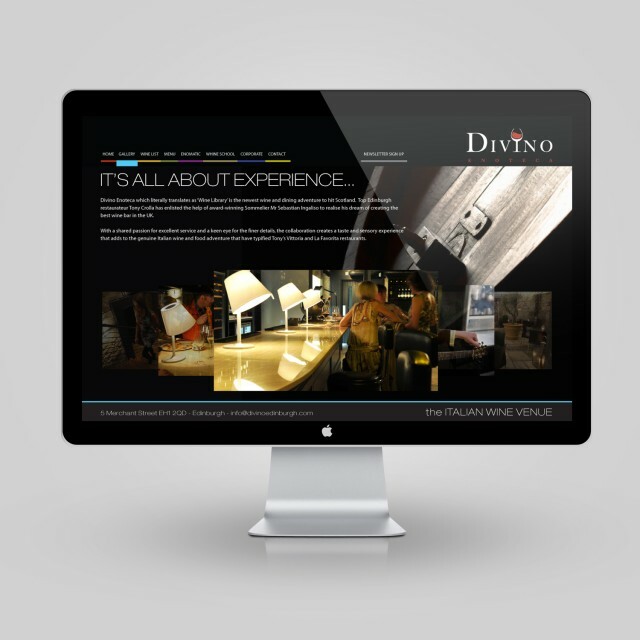 Create a website that represents Divino’s Stylish atmosphere. 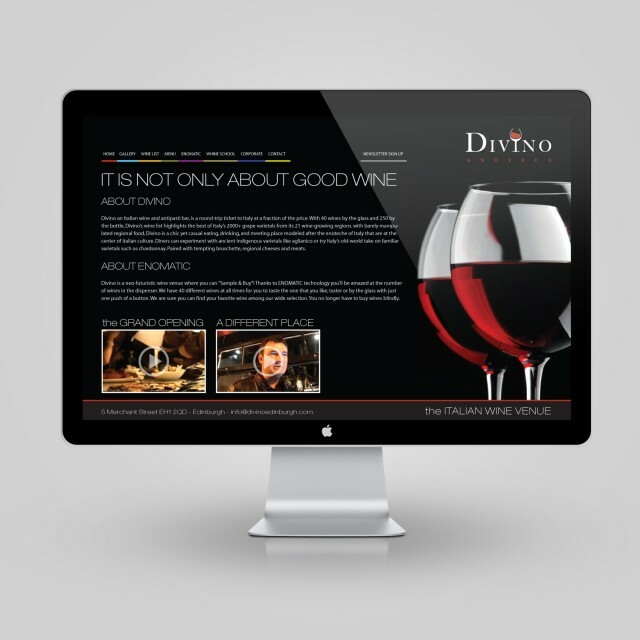 Divino Enoteca is a classy, sophisticated Italian restaurant and wine bar. To reflect this feeling in its website we used a combination of rich, deep blacks and dramatic low-key photography. 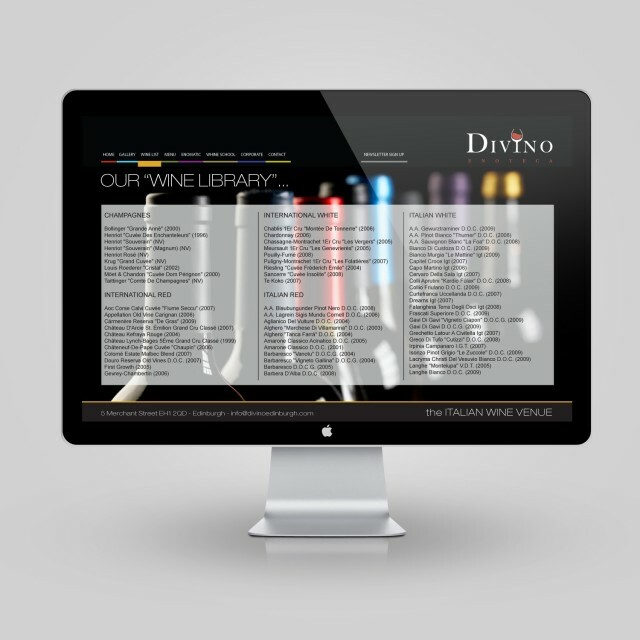 The result is an elegant yet charismatic looking website which is impressive to look at whilst being easy to navigate.